Are you looking for ways to keep your little ones busy this summer? I’ve always got my eyes and ears open for fun ways to entertain my daughter. If it’s fun + educational, even better! Canoodle toys fit the bill perfectly! They were created to entertain children’s imagination, visually encourage thoughts and ideas and improve motor skills. I love how they spark kid’s creativity and provide inspiration for them to let their imaginations run free. The more imagination that children put into an activity the more learning that goes in their developing minds. They are learning while playing without even realizing it. This summer pick up one of Canoodle’s building sets for hours of in-outdoor use. 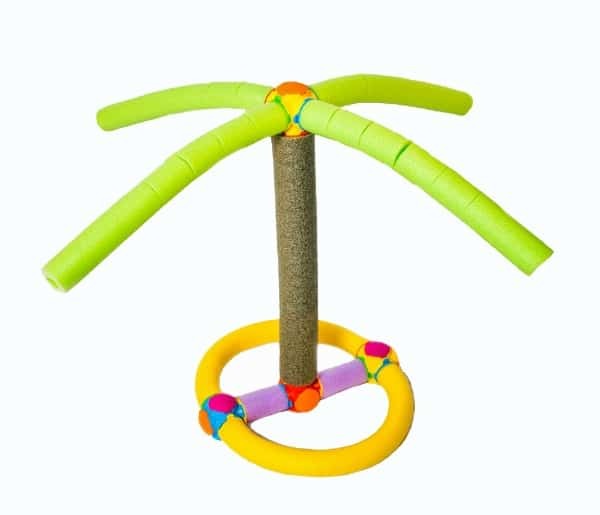 These constructional toys consist of colourful connectors of different shapes and sizes that are used to build structures with pool noodles. Children can work together to create whatever their minds dream up! Not only does it encourage imagination, creativity and role-playing, but also, importantly, team work. As kids build the structures, they learn to work together and gain important problem solving skills. The mini building set includes four canoodles, 10 connectors, two cappers, one slider, one twister and one cutter. 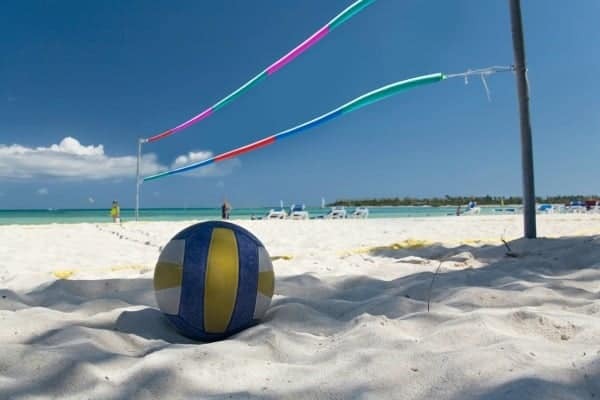 All Canoodle toys float and have a UV protectant to prevent fading or cracking from the effects of the sun. They are made from a poly plastic resin that is food grade quality and completely safe. Check out Maureen’s review of Canoodle and see how her three children enjoyed this innovative toy. Want a Canoodle toy for your kids? You’ll be able to purchase them at Toys R Us, Bass Pro Shops, Leslie’s Pool Supplies, Meijers, Brookstone, Amazon and more! Make sure to visit their site for more information. 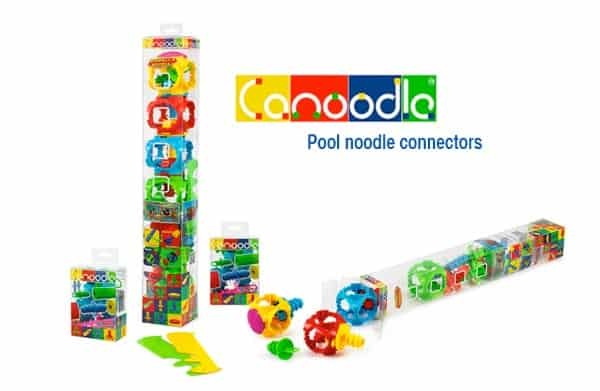 Try Canoodle toy as your boredom busting solution for your kids this summer! Connect with Canoodle Toy on Facebook, Twitter and Pinterest. What a creative idea. I love that there are instructions on how to build a giraffe. I like that the toys are unique!! I like the Canoodle building ideas that they have listed on their site. I learned that they have how to video. I like that they have videos explaining how to make stuff. I also love the Pirate Noodle Sword. I like the pirate noodle sword. What a neat new product! Now I can build the forts I always tried to build when I was a child at my mother’s pool with my own daughters! I love it! I like the Pirate Noodle Sword! I like the pirate sword handles. I would like the mini building set. I like the Boater’s 4 Piece Building Set. I like the mini building set. This looks like a lot of fun for kids! I’m not creative but I love creative things – LOL – so I love the building ideas to create so many cool things with them! Awesome. Thank you for sharing! I learned you can make all sorts of things for the pool that float. You can cut the Canoodles, attach them, connect them, and cap them. Cool toys. My kids would love the mini building set. The mini building sets for my classroom! I like that you can be creative, and cut them and build them and make whatever fabulous creation you want with them. I learned that the closest way to purchase Cannoodle products would be at ToysRUs. I learned that the closest way to purchase Canoodle products would be at ToysRUs. they have videos explaining how to make stuff. I would love to have the mini building set for the child I work with. I learned there are How-To’s and I signed up for the email which sends you new ideas and links on how to make them. 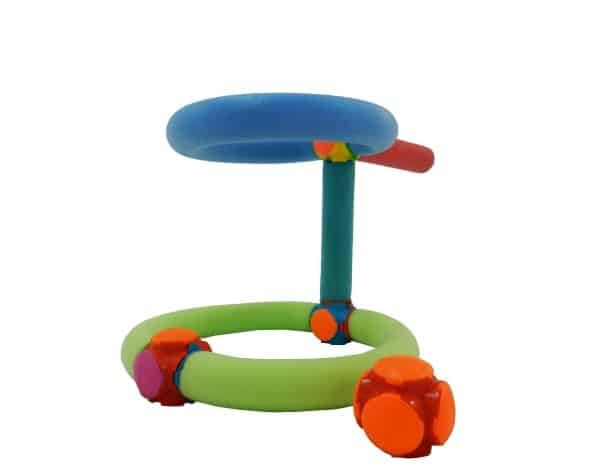 Canoodle toys float, have a UV protectant which will not allow the toy to fade or crack due to the harmful effects from the Sun and are made of a poly plastic resin that is of food grade quality and completely safe for kids. I learned that Canoodle toys float, have a UV protectant which will not allow the toy to fade or crack due to the harmful effects from the Sun and are made of a poly plastic resin that is of food grade quality and completely safe for kids.